So you’ve decided to start a blog or business or you want to take one or the other to the next level — that’s where promotion comes into play. The number one platform to do this at the moment is the social media platform Instagram. I personally use my instagram daily — I might not be a 100% active but I do check it — for my blog & business. I get many questions from other how I do it and how I plan my feed. And in this post I will reveal how to plan your Instagram feed & why I plan it in advance. And hopefully it can inspire others to create an Instagram feed that they’re really happy with. Well first of, let me dive into why I think Instagram is a great tool to use to promote your blog or business. 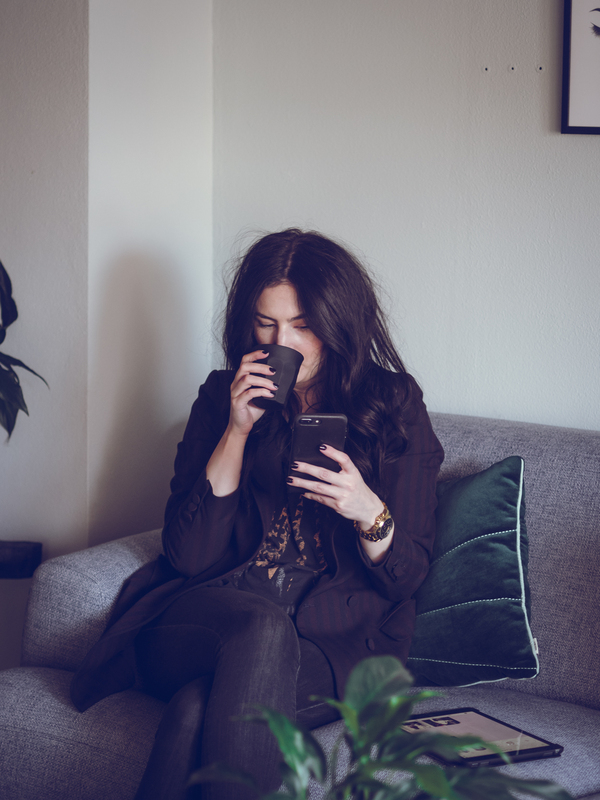 Instagram has over 1 billion active users every month (Hootsuite, 2019), 500 million people tune in to Instagram Stories daily (Later, 2019) and even IGTV is becoming more cool — who doesn’t love a good outfit inspiration video? 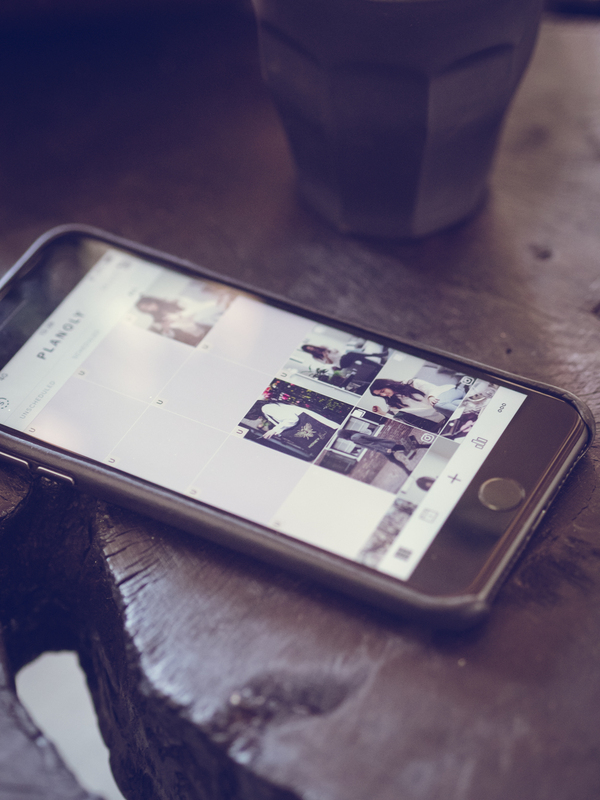 If you want to promote your blog or business to reach potential readers or clients — why wouldn’t you use Instagram? Instagram is also not just for the millennials anymore — although they are a big part of the users — with the older generation discovering the platform. 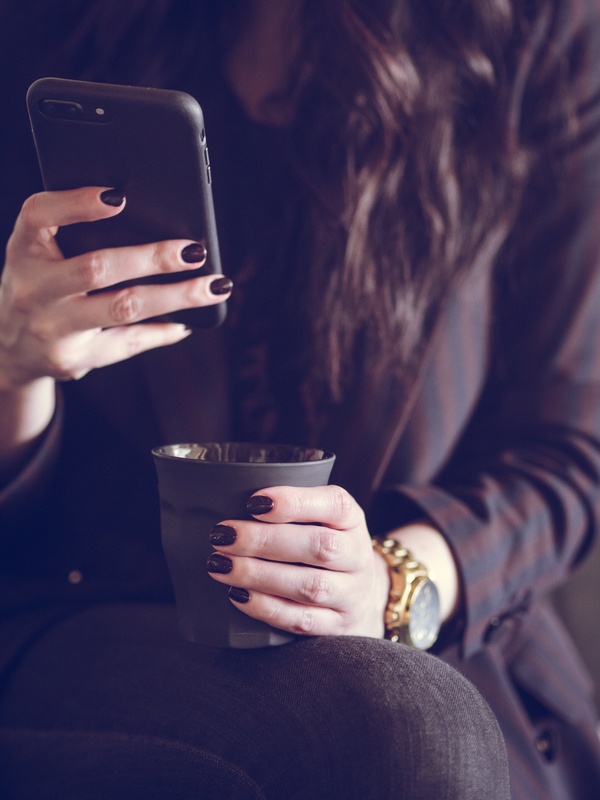 80% of the Instagram users follow at least one business, 60% of the users discover products on Instagram and 75% of users take action like visiting a website after seeing a post (Hootsuite, 2019). In other words: It’s a great way to make contact with a likeminded audience for your blog and if your content is inviting, there is a big chance they’ll leave the platform to check out your blog. You have a blog, you might have certain goals for that blog and what you want to achieve with it. Maybe it’s a passive income or a dream brand ambassadorship or just to find an online community with likeminded people. Whatever your goal is, that’s your starting point for Instagram. In business you’d probably make SMART goals but I can imagine that some of you don’t need that. If you do want to see your blog as a business, I would suggest making SMART goals which stand for specific, measurable, achievable, realistic and time bound. Google it if you want to know more about SMART goals. One of the biggest tips I can give you from my point of experience as a social media strategist is to see your Instagram feed as an extension of your blog. This means that you should not just post content from your blog but also go beyond that with staying within the themes of what people know you for. My personal themes for my blog account are ambitious woman, curated style & “personal” snaps. I even recently found a way to incorporate cats into my feed by using the purrsonal assistant angle — thanks to a friend. These themes are easily mixed in with content for my blog posts. 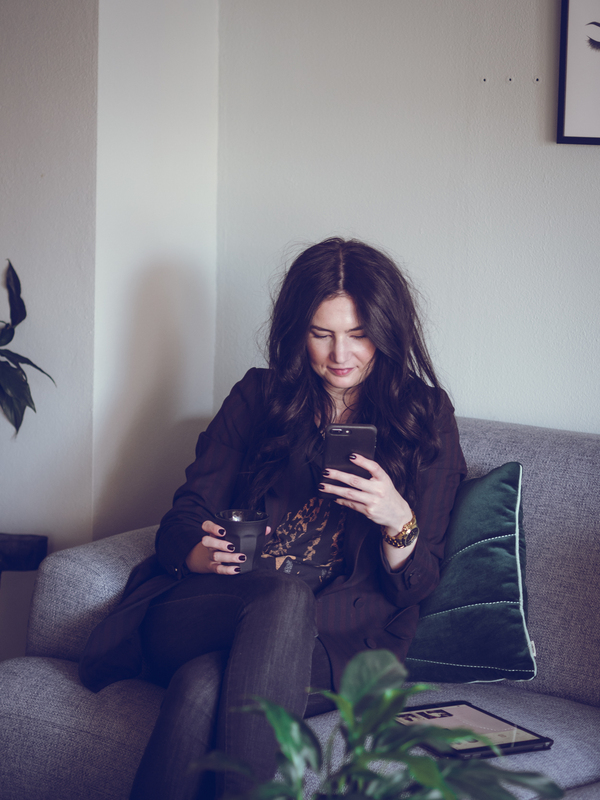 If you need help with putting together a social media strategy or want to consult with me, you can book an appointment here via my business Fiona Gobbo Creative. I will always suggest people to choose a fixed day to create their Instagram content if you’re doing it on your own. If you work with someone to create Instagram content, you can always plan a day every month or two weeks to walk through your content and a day to talk about strategy. I personally use my weekend to plan my Instagram feed in advance. I do this because I do it as a hobby, am building a business — which takes a lot of time — and I might even have to juggle it with a part time job soon. I use the weekend to plan for the week ahead. For my business account Fiona Gobbo Creative I plan for a whole month but I’ve discovered that for the blog I like to keep it short term. My business account is more a portfolio which makes it easier to plan more content ahead of time. My account for the blog is more personal and “in the moment”. 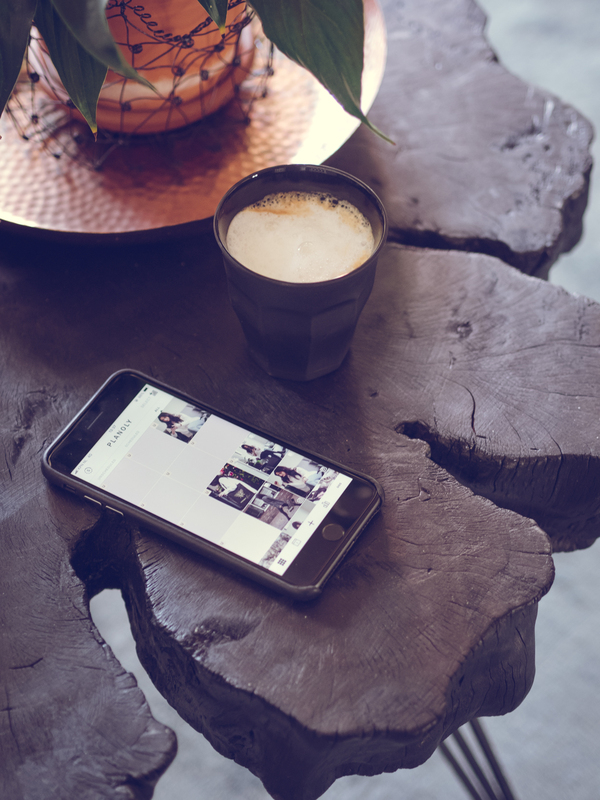 For Instagram planning I use the paid version of Planoly. I use the placeholder function to block all the days I want to share content on and give them a descriptive title. This way I can still move them around to play with the look of my feed for the next week. When I’m satisfied with the content I schedule the grams. The app sends you a reminder when you need to post it or — if you have a business account — it will post it automatically. It’s by far my favorite tool to plan your Instagram feed out there and they are always on top of new developments. You can use the tool for free with 30 posts per month or sign up for a paid version. If you’re interested in using Planoly, I would love it if you use my referral link*. It’s not mandatory but you can see it as a small thank you for introducing the tool to you. This post is not sponsored by Planoly. If you’re not convinced to use Planoly, I made a blog post on my business blog reviewing two other Instagram planning tools here. Now comes the fun, creative part: shooting content & editing it all. The biggest tip I can give you is to shoot everything in bulk. Don’t let yourself be pushed to take snaps in the moment all the time — life is meant to be enjoyed not just captured. Plus lots of bloggers do this. Even business owners plan in shoots with professional photographers. When you start shooting content you need to have a ‘I don’t give a f*ck’-attitude. People will look at what you’re doing, giving unsolicited advice or just compliments. You need to kind of ignore that and do your thing. Especially if you want to get the “perfect” shot, you got to take your time and put yourself out there. Next step is editing your content. A great way to make sure your feed looks cohesive is to use a filter that stands out. Make sure you consult with your photographer if they are okay with altering the images with a filter or if you can edit the content yourself. Not all photographers will agree to this which is their creative right. You’ve decided on what you want to post on your Instagram feed and chose your themes,. You started to plan your Instagram feed and shot plus edited all the content. After you’ve posted your grams, the games truly begin. You need to engage with your audience to keep yourself top of mind, use relevant hashtags so that your content is distributed across the platform and actively go after your (niche) audience. Creating amazing content is not hard if you have the right vision but making yourself notice among the more than 1 billion monthly active users is another ballgame. That’s where content creation flows into marketing territoriums which I can also talk about if there is any interest in it! Do you use Instagram to promote your blog or business?